In an age where all the information of the world fits in the palm of everyone’s hands (even baby hands, can you imagine that), people are more inclined to start their own business, than ever before. Everything they need to know about running a start-up is at their disposal, a lot of which is free to consume and only a few clicks away. Today’s younger generations are exposed to more than 200,000 marketing messages by the tender age of 15. That means if your message is not ultra-relevant it will be ignored more than the terms and conditions of a mobile app. That makes traditional ad marketing a very challenging task. Second, email marketing is an awesome method because it is opt-in and thus you can be 100% sure your messages go out only to those who are genuinely interested in hearing it. It has also been proven effective time and time again. You can check out the latest figures (August 2017) on this link. But perhaps the most important 'side-effect' of your email subscribers list is that you're creating a community, and a community has the strength to move mountains. Creating a movement, having people that feel they're part of a group or a tribe, as Seth Godin puts it, creates a strong bond between you and your visitors. They become your brand evangelists, your PR spokespeople, your strongest advocates. If they feel included, if they feel like they're part of a group in which they will be respected and missed if they're gone – they will be very passionate about you and your work. The problem with online marketing is that everyone’s fighting for attention, and there’s only that much people can give. Today’s internet users have an attention span of a goldfish, and I’m not exaggerating. So email marketing is one of the best ways to go. But getting people to give you their email isn’t that easy. They know why you need it and how valuable it is. So, they want something in return. Make sure you give it. 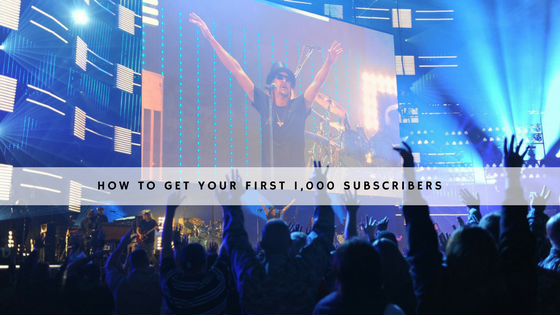 Below you’ll find a short guide on how to get your first 1,000 subscribers. You can also consider it as a step-by-step guide, with the first tip also being the most important one. But why 1,000? Why not 500, or 5,000? A thousand is generally considered a tipping point that can propel your business forward and is thus seen as the first important milestone. 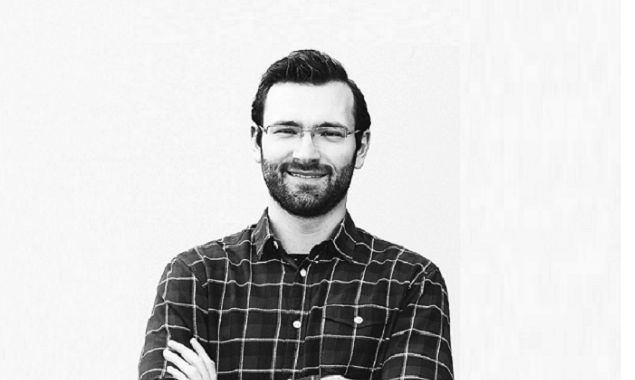 Your goal is to get your visitors to give you their email address – on their own free will. They will do so if they get free (valuable) stuff or special offers. Depending on your business or industry, you can create ebooks, podcasts, offer free demos, product evaluations or reviews, schedule meetings, organize discounts, coupons, whatever you consider valuable for the audience in your industry. 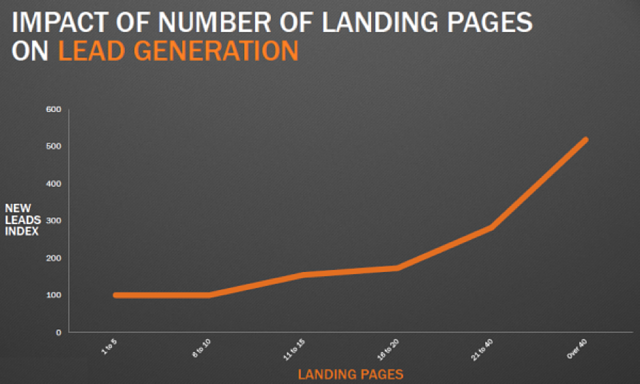 For all of this to make sense, you need a landing page (or even better – multiple landing pages). Without a solid landing page where visitors can learn a bit more about what they’re getting for their email, the entire effort will be pointless. The second thing you absolutely must have is a lightbox, like the one we have on our own site, which pops up when you move your mouse towards the exit button. Similar to pop-ups, lightboxes appear across the screen at certain points in time, and are one of the most effective ways to turn visitors into leads. They are an essential step in reaching your goal of 1,000 subscribers. They pop up at the perfect moment, and are capable of engaging leaving audiences. They feature a clear call to action, communicate the unique offer in an eye-catching manner, and allow you to personalize it to specific audiences. But you must be very careful when creating lightboxes. One wrong step and everything will backfire. Lightboxes need to complement the site and offer relevant content in order to improve the overall user experience. Make sure to read this UX Planet's post on best practices when creating lightboxes and similar modals. Building habit is probably the most potent marketing strategy ever created. If you can create a habit among your visitors to keep coming back for more, your virality potential grows, your SERP position increases and your overall chances of getting new people on that landing page of yours increases. But in order for your visitors to keep coming back, they need something to come back to. 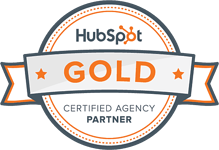 So create an inbound marketing strategy that will revolve around your target audience’s pain points and challenges. Learn what they are looking for online and create content around those issues. Make sure to follow them through the entire buyer’s journey. That way, not only will you create habit, but you will also form a strong, trust-based relationship with your readers. If the mountain won’t come to you – you must go to the mountain. Going where your target audience is already present is considered best practice, and your audience is most likely a regular visitor to your niche’s top media or blogs. Posting on such sites is a win-win situation: the blog gets quality content (you need to make sure it’s quality content), and you get to advertise your business (and more importantly – your landing page) to your desired audience. Do not forget to add a link to your site or landing page to the copy you are submitting. It is not uncommon to even share a call to action at the bottom of the piece, inviting readers to learn more about you and your business, so consider that option as well. Organic is the holy grail of traffic, but the way internet works today, it is almost impossible to have your traffic fully organic. It needs to be greased every once in a while, so don’t hesitate to shell out a few greens to get those initial visitors rolling. Luckily, there is a myriad of options when it comes to paying for traffic, and some companies have it down to fine art. There are really cool ad networks out there, obviously including the likes of Google AdWords or SelfAdvertiser. They can help you get your message across to very specific audiences, regardless of how narrow or unique your niche might be. Also, don’t forget social media like Facebook, Instagram or Twitter who all allow buying ad space and usually have tremendous reach. Last, but definitely not least, consider niche sites, forums (Reddit, perhaps? ), and your industry’s influencers. As in anything else, the first steps in building a subscriber base are definitely the hardest. You will find plenty of content out there promising 1,000 subscribers in a week or in a month, but it wouldn’t be wise to give out such promises – each start-up is different. However, that doesn’t mean you shouldn’t set yourself up with a couple of deadlines when it comes to reaching that famed 1,000. And once you hit that milestone (and I’m confident you will), the gap will start narrowing, and adding new subscribers will probably be much easier. Be warned – you will face new challenges as scaling a subscriber base is a whole new pair of sleeves. But we’ll get to that on another time. Now let’s first get you to that thousand.